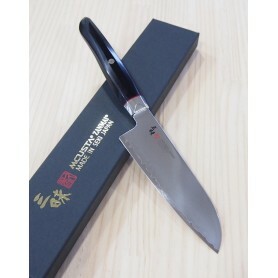 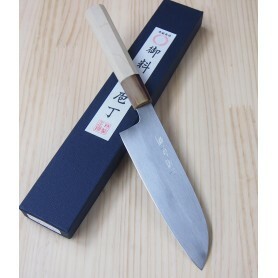 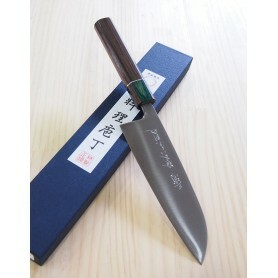 This product was made by the Japanese cutler, Yoshimi Kato, from Echizen (Japan). 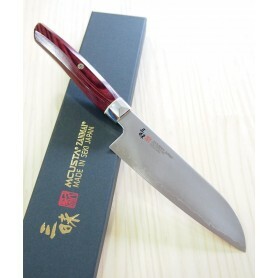 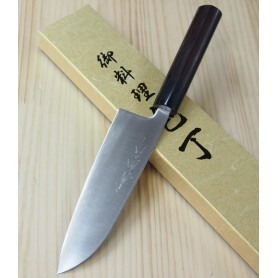 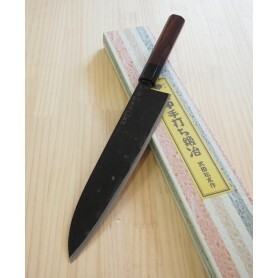 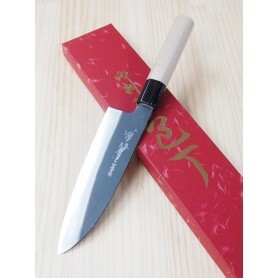 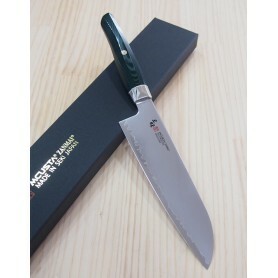 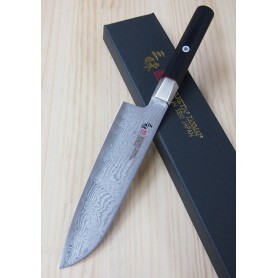 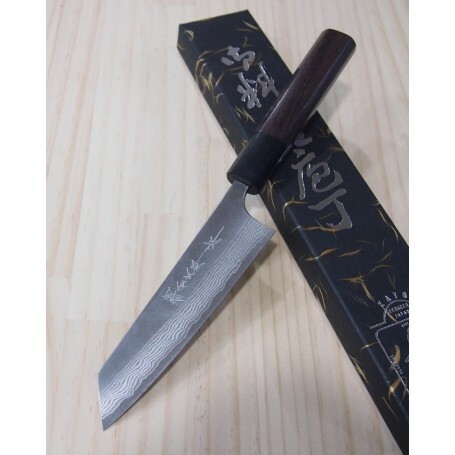 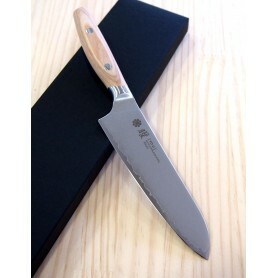 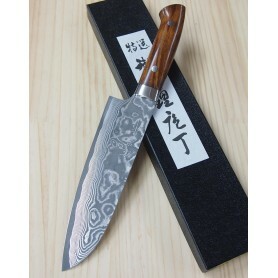 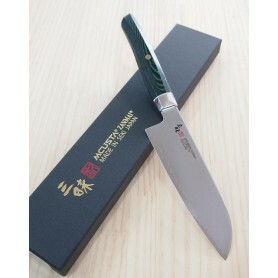 The blade of this knife is made of Damascus VG-10 steel. 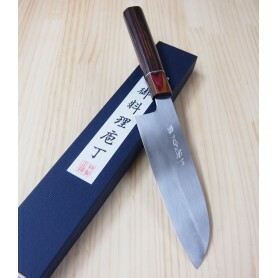 The handle has the rounded shape, and it is made of Rosewood.